Stories of people with financially solid careers who took a leap. This is a story about people who make wholesale life changes, people with financially solid careers who risk that stability. What they share is a single-minded focus on a niche, not an overarching vision to change the world. Monique Greenwood is one of them. She was the editor-in-chief of Essence Magazine, her childhood dream job. But as she was working on a book, “Having What Matters,” she realized that what she really wanted was to concentrate on what had been a sideline and go into the bed-and-breakfast business. “I decided I was worth the investment,” Greenwood said. 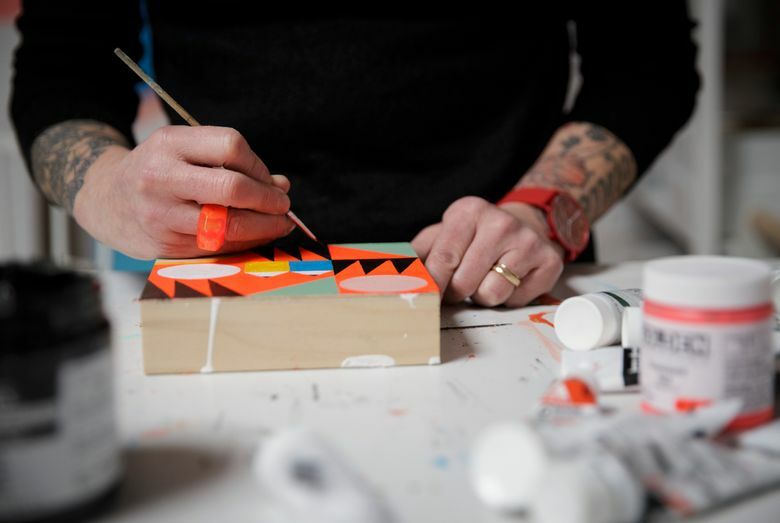 For Lisa Congdon, the change was less an epiphany. She was working in a senior role at an education nonprofit organization and decided to take art classes on the side “with zero intention of becoming an artist; it was to balance office work.” Some 10 years later, she left the stable job to become a commercial artist and illustrator. Sara Bliss, author of “Take the Leap: Change Your Career, Change Your Life,” said that Greenwood, Congdon and the other people in her book who changed careers shared a pragmatism about how to make the change, even if their reasons varied. Some of the people Bliss wrote about said they felt they didn’t have other good options. Judson Kauffman spent his 20s as a member of the Navy SEALs, doing two tours in Iraq and ending his active-duty service as a sniper instructor. When he left the Navy in 2010, he spent two more years in a civilian role supporting Navy recruiting. “I’d begun to meet people in business, and they said, ‘Boy, we’d love to hire guys like you,’ but there was a disconnect,” he said. The companies weren’t actually hiring those veterans. Kauffman’s firm set out to show companies that engaging in armed conflict was only a small part of what the Special Operations veterans had done. So Exbellum highlighted how the veterans were expert at managing personnel, logistics and multimillion-dollar budgets. At the end of last year, he sold the firm to Forged Consulting in Dallas. He has since started two other companies, one that distills sotol, a plant indigenous to Texas, and another that is in the submarine business. The motivation to change careers was different for Greenwood, who had become the editor-in-chief of Essence a few years before she bought her first property. She said she had run her first bed-and-breakfast in the Bedford-Stuyvesant neighborhood of Brooklyn while still working for the magazine. Her husband was also working full time. Her nod to pragmatism ended up making that first bed-and-breakfast seem more exclusive than it really was. By 2002, Greenwood was successful enough that she resigned as editor of Essence. She now has five inns under the Akwaaba brand. Others, like Congdon, made change incrementally. After moving from classroom teaching to working in a nonprofit organization in 2002, she began taking art classes to get more creativity in her life. But with the rise of Flickr, then Etsy, she put her illustrations and graphic designs online, and they began to sell. She had a show in Seattle in 2006 and sold everything. In 2007, a show in New York sold out before it opened. By 2011, with a deal to illustrate books, her income from art matched her income from her nonprofit work, which was in the high five figures. Her number of Etsy followers rising, she decided she could leave her other career behind. 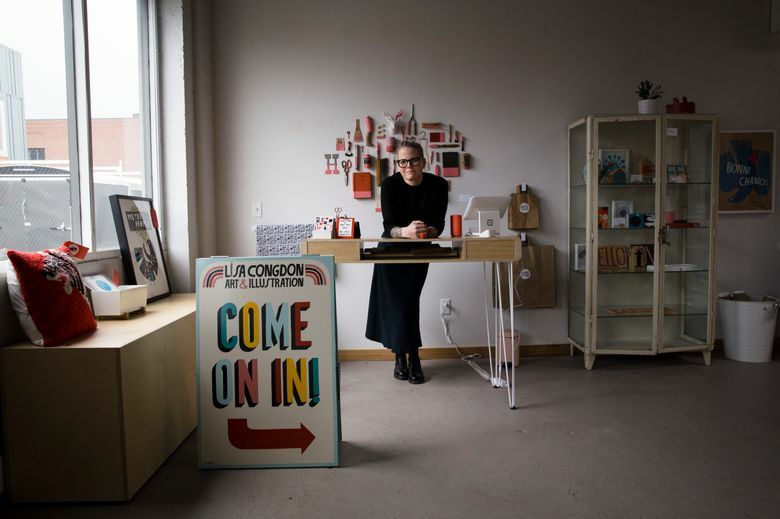 “I understood early on that to make a living I couldn’t put all my eggs in one basket, and I still do that to a certain extent,” Congdon said. The difference now is she is earning far more than she did in her previous career, through a mix of commercial illustration, books, lectures and classes. Online sales alone are well into the six figures. Not all people made career changes for financial reward. After finishing law school at the University of Pennsylvania, Aaron Walker joined a corporate law firm. But he decided the work wasn’t for him, and he switched to an education nonprofit. Then, in 2013, he started Camelback Ventures, a nonprofit fund that promotes entrepreneurs of color for roles like portfolio management in impact investing, a type of investment with a social conscience. These people made their career changes voluntarily. But others were forced to move out of economic necessity. In her late 20s, Katie Warner Johnson found herself at a turning point in her career. Despite professional ballet credentials, including a stint in the musical “Cats,” and an undergraduate degree from Harvard, she was working as a trainer in Los Angeles and had just been rejected by every business school she applied to. So in 2012, she decided to start a business, thinking that it would help her business school application the next time. The company, which became Carbon38, an online store for women’s athletic and leisure apparel, started by raising money through the usual route of going to family and friends. She then won a venture capital competition, which led to additional funding. “Pretty quickly, I raised $1 million, and I couldn’t exactly go back to business school,” she said. From 2012 to 2016, the company raised $11 million, mostly in small checks. Then Foot Locker, the athletic shoe retailer, made a $15 million investment. At times, she said, she marvels at how much the company has grown in five years. Just in the last year, it has doubled in size and now has close to 100 full-time employees.